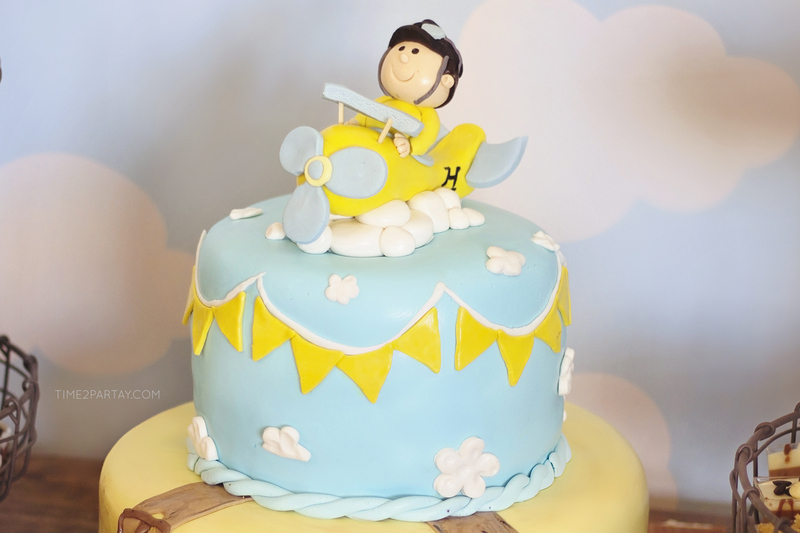 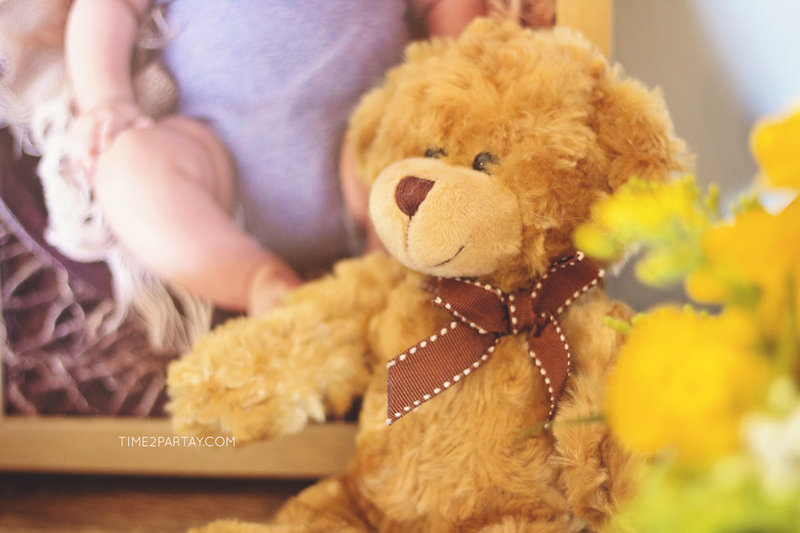 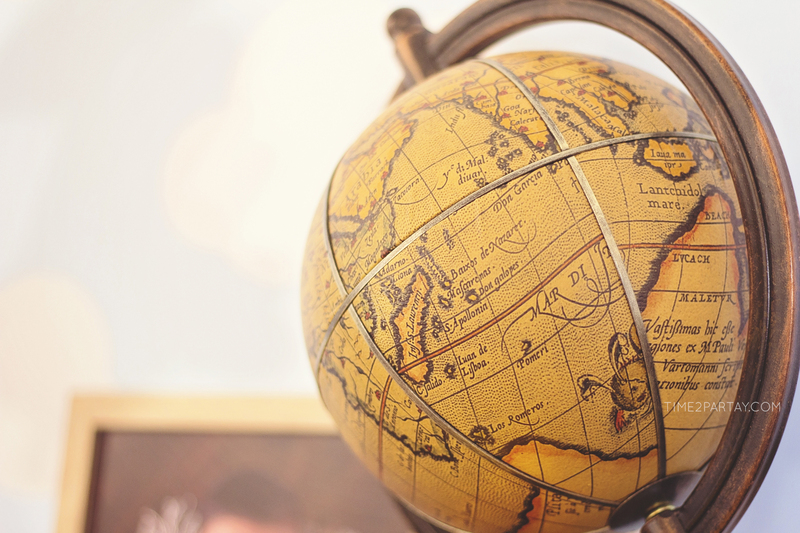 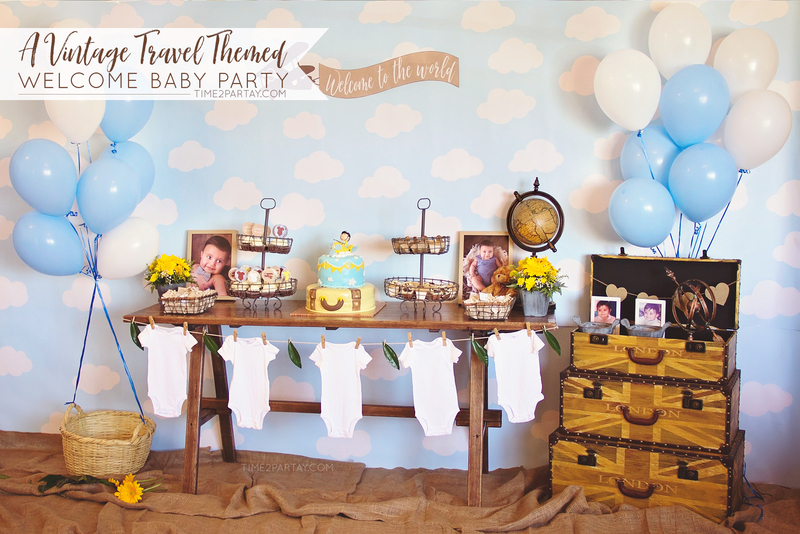 I’m so excited to share this party that I planned for our very special friends and their adorable little traveler who deserves to be celebrated wherever he goes. 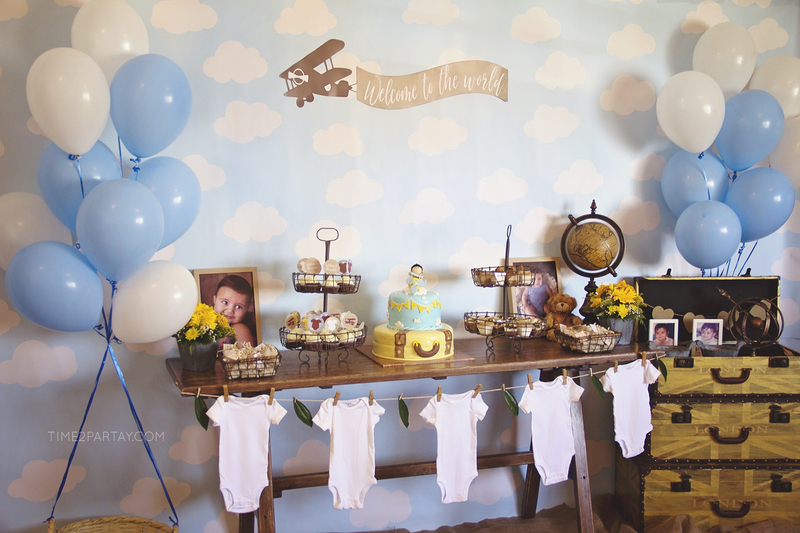 I just knew this would be the perfect theme since baby Hafiz and his parents traveled overseas to introduce their little one to all the people that adore him already. 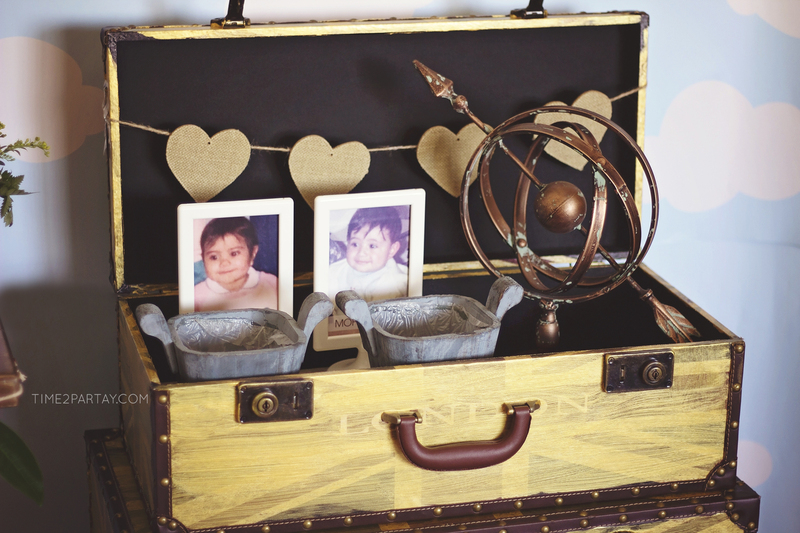 As for the rustic vintage details, well, what is there not to love? 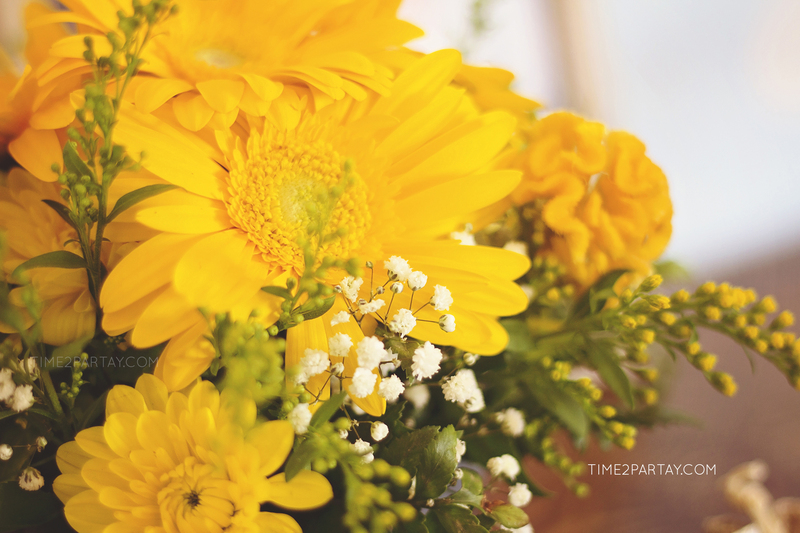 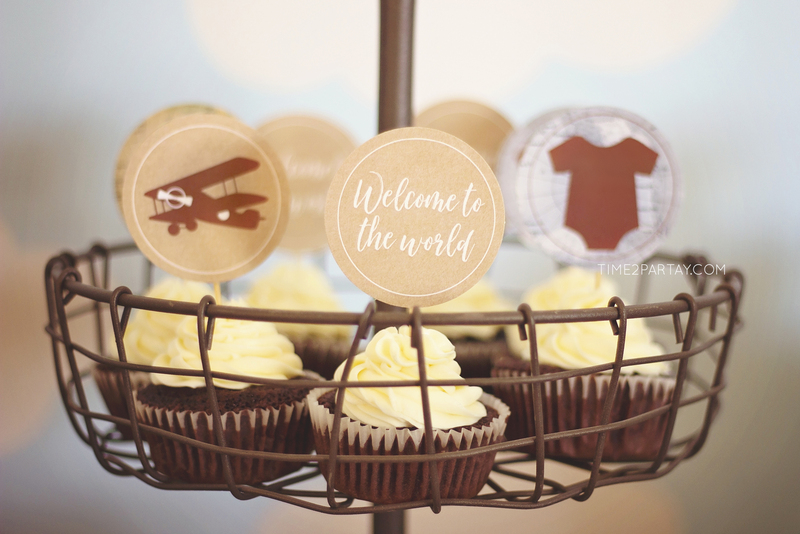 I used a combination of warm and earth tone colors for the party decor. 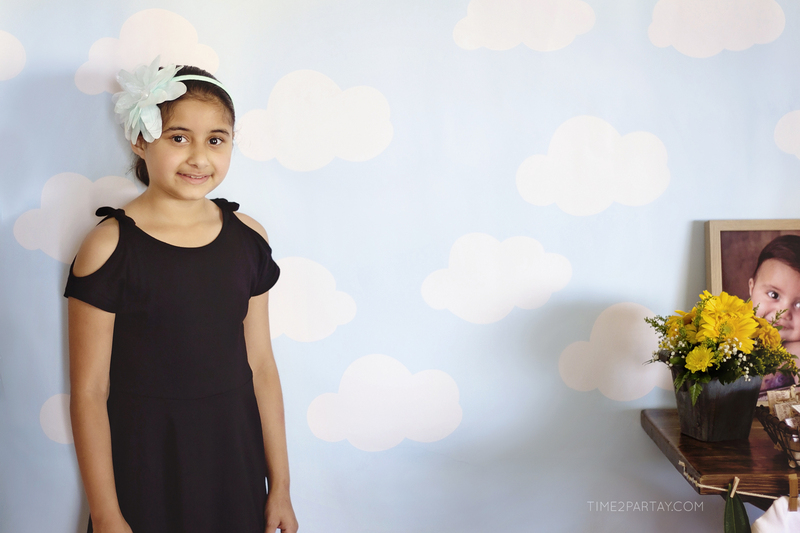 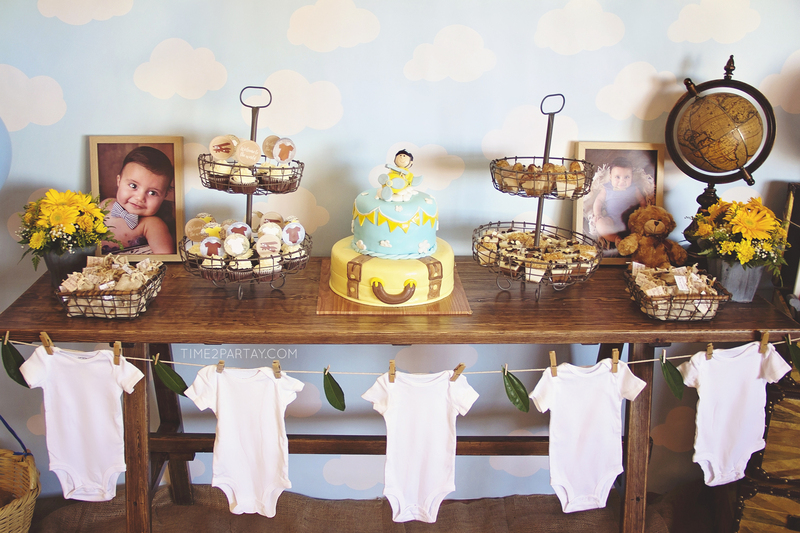 The backdrop was placed behind the dessert table and the photo booth area as well. 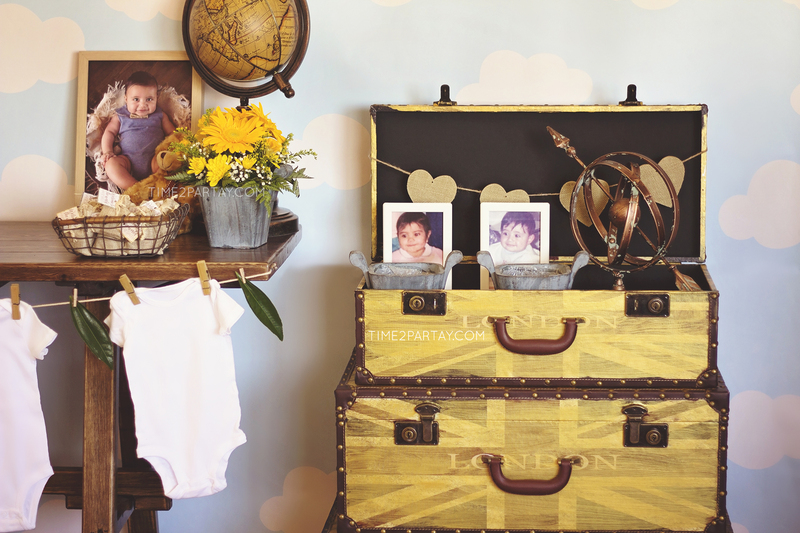 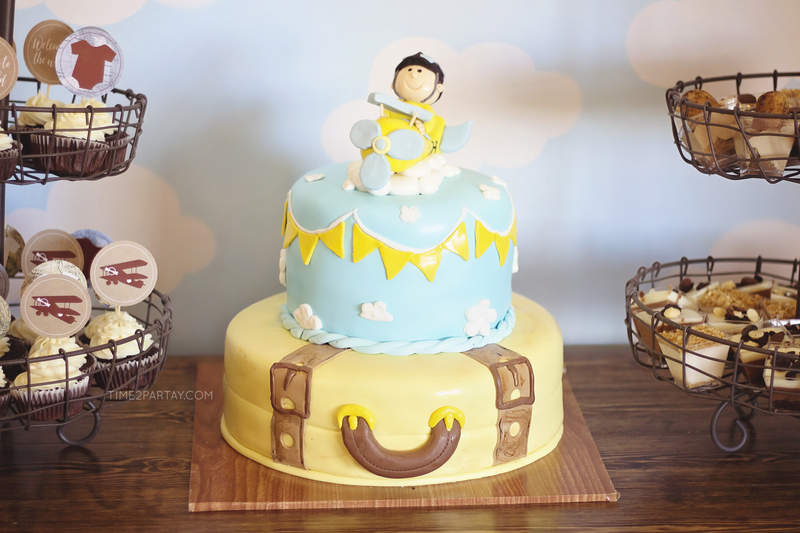 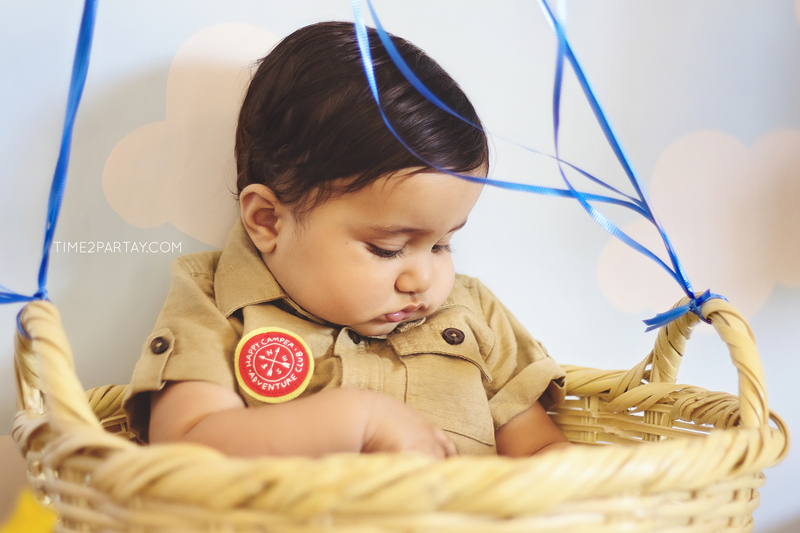 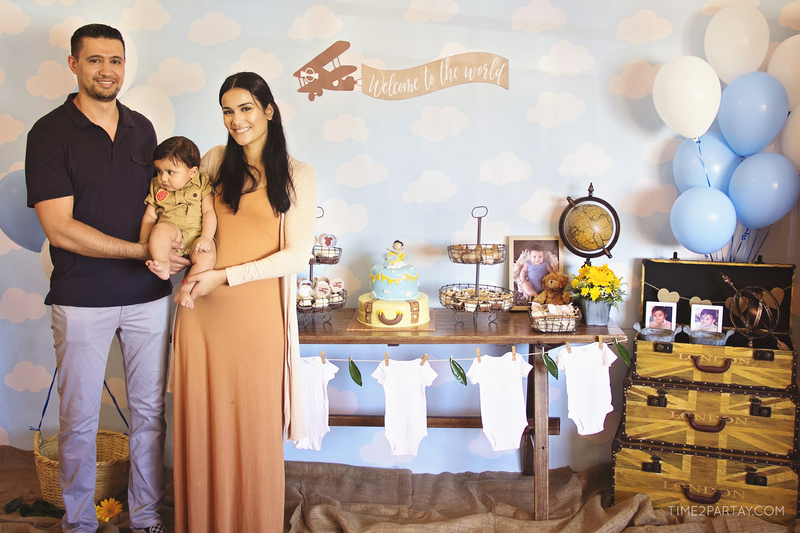 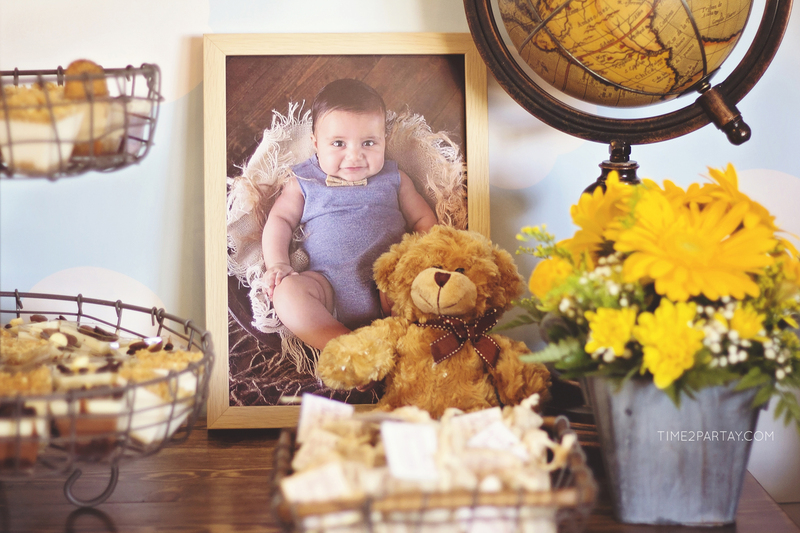 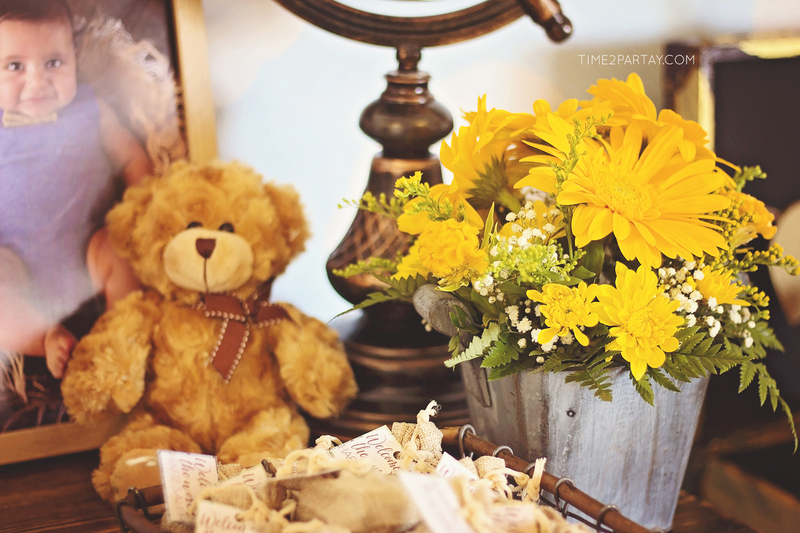 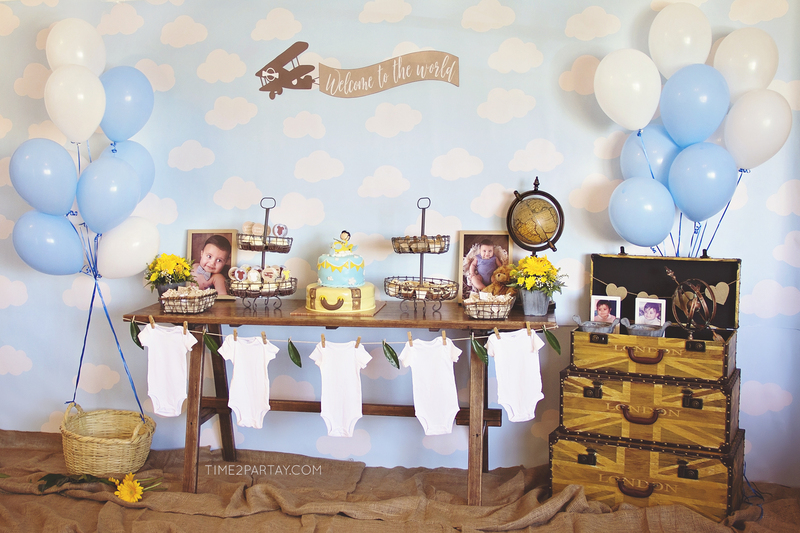 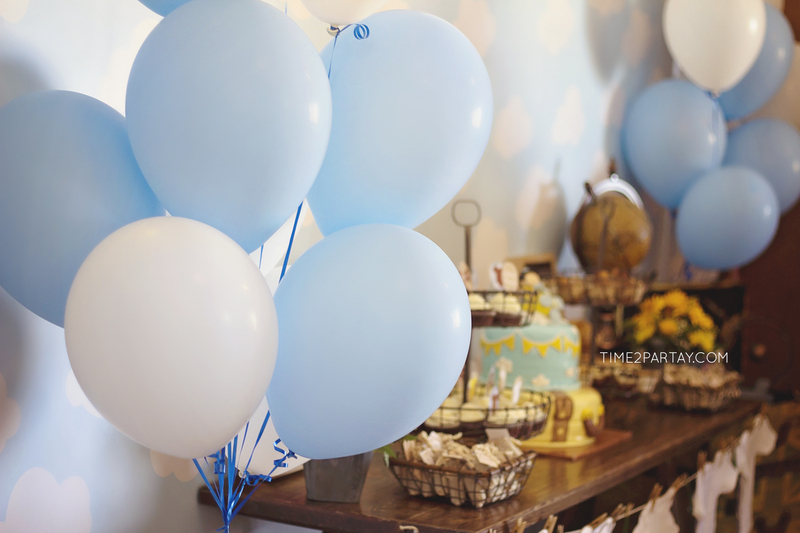 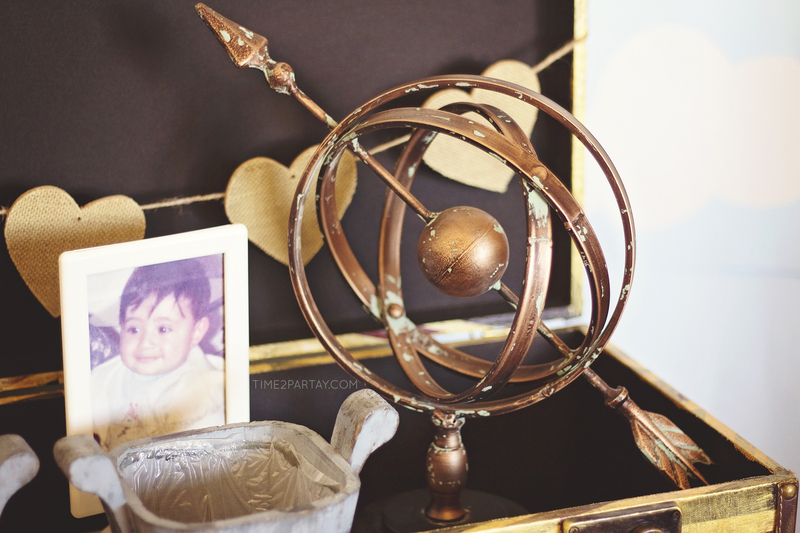 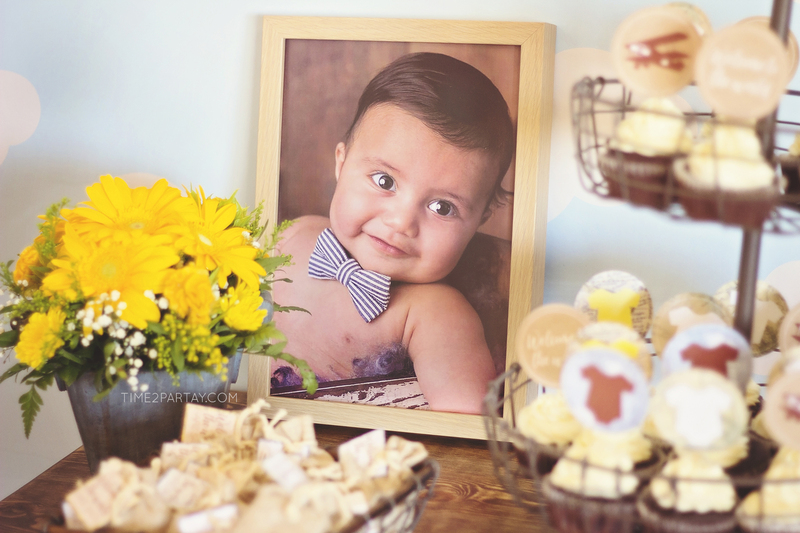 The dessert table was a wooden table decorated using onesies, a vintage globe, pictures of baby Hafiz, a teddy bear, flowers, and vintage style suitcases. 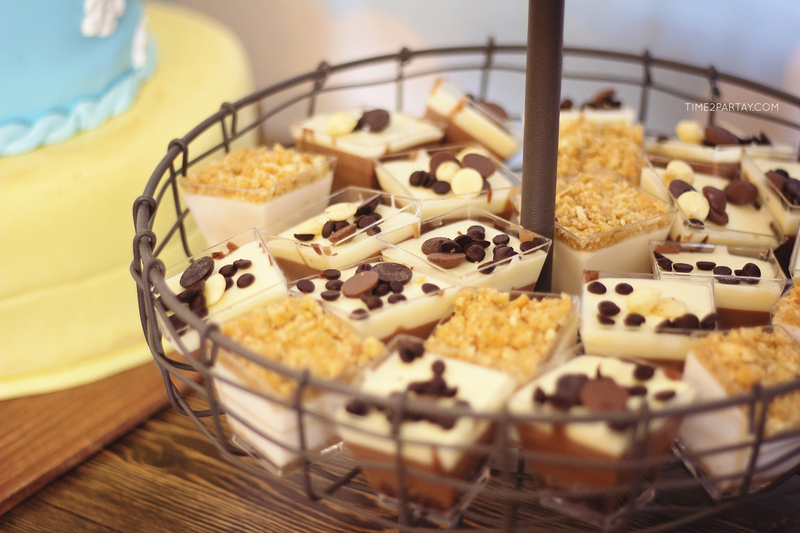 This beautiful cake, mini tiramisu cups and mini cheesecake cups were all made by the talented Sukkar Cakes. 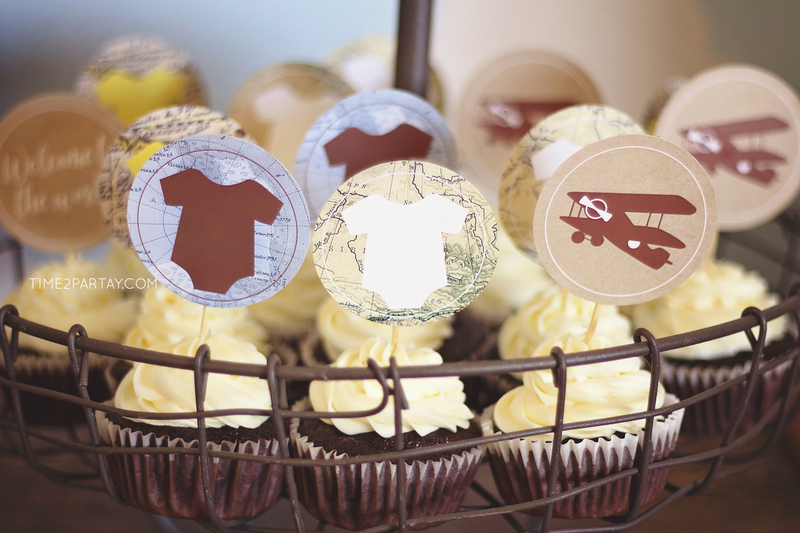 Our homemade cupcakes with personalized toppers were placed next to the cake. 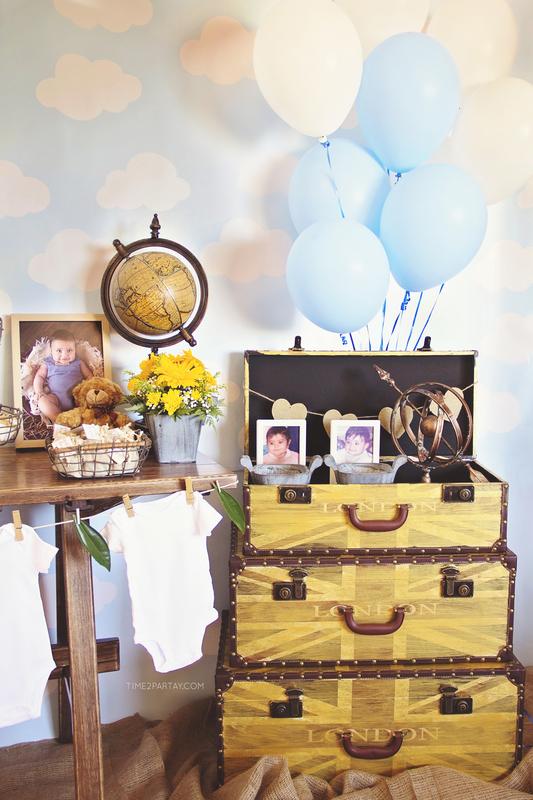 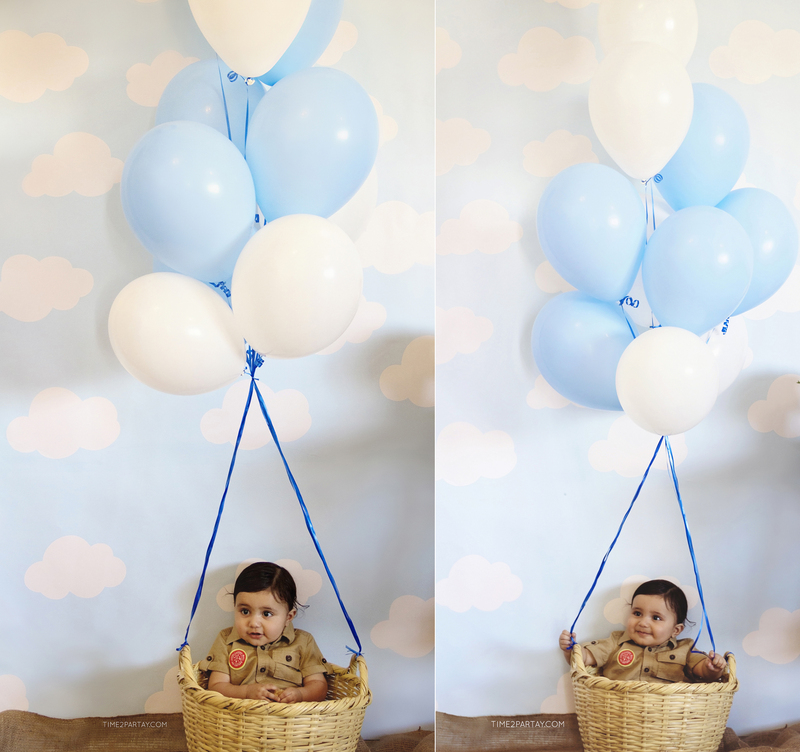 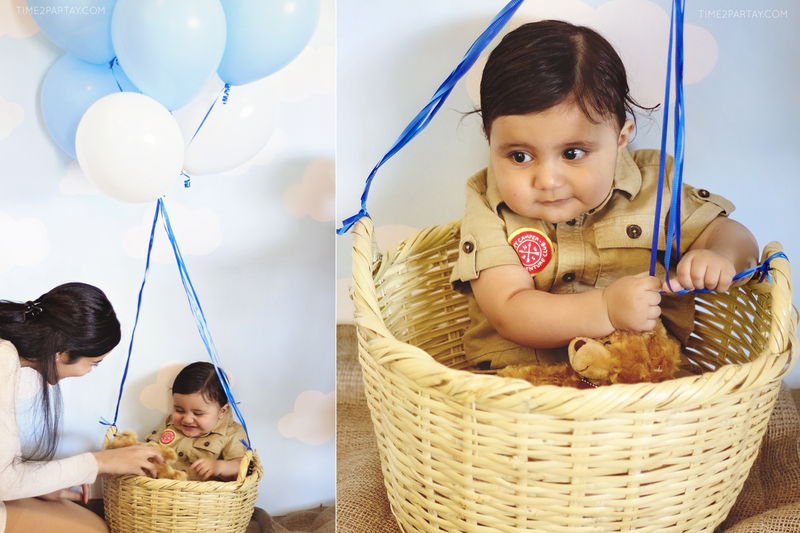 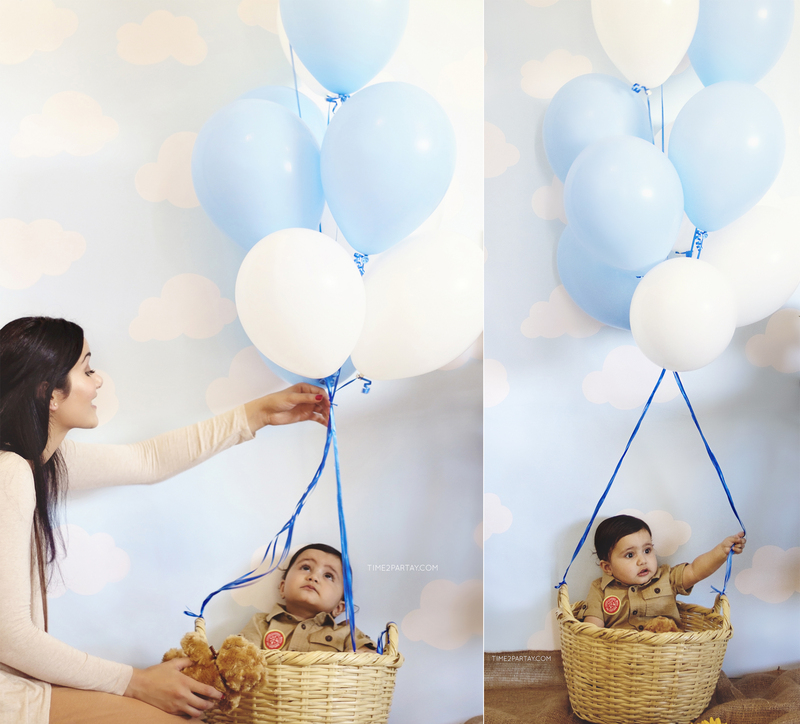 I added a “hot air balloon” for the baby to take pictures in by the photo booth area. 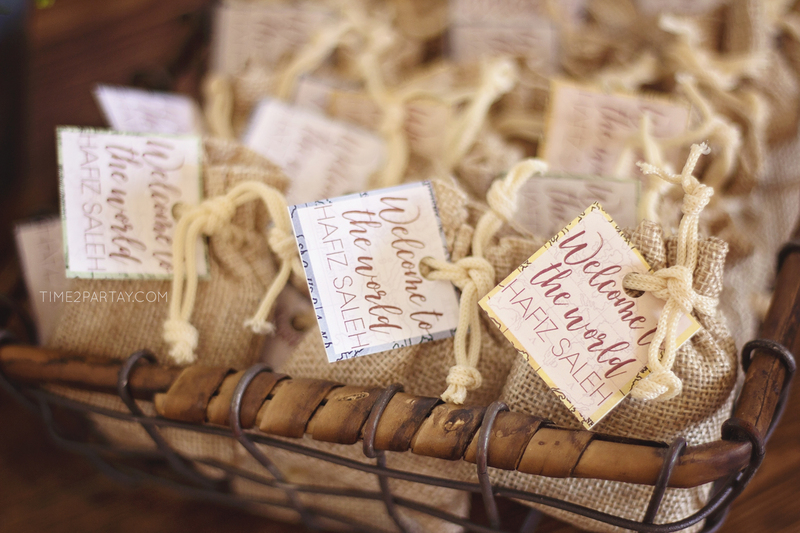 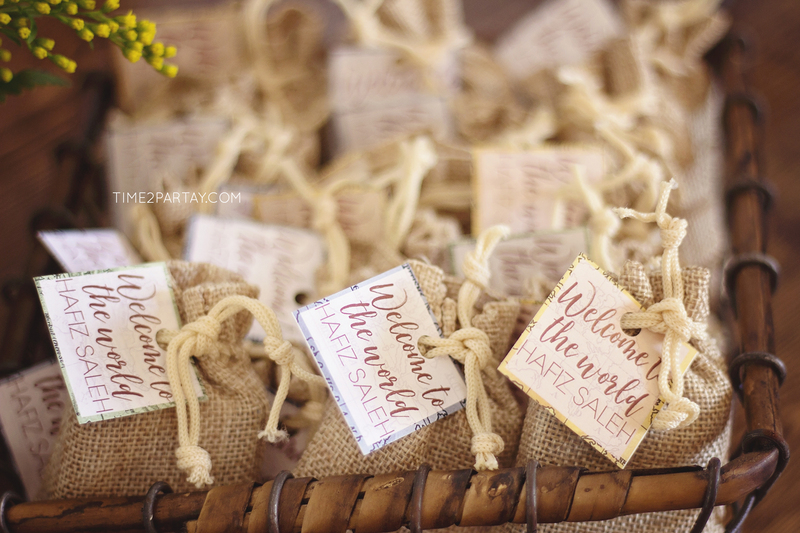 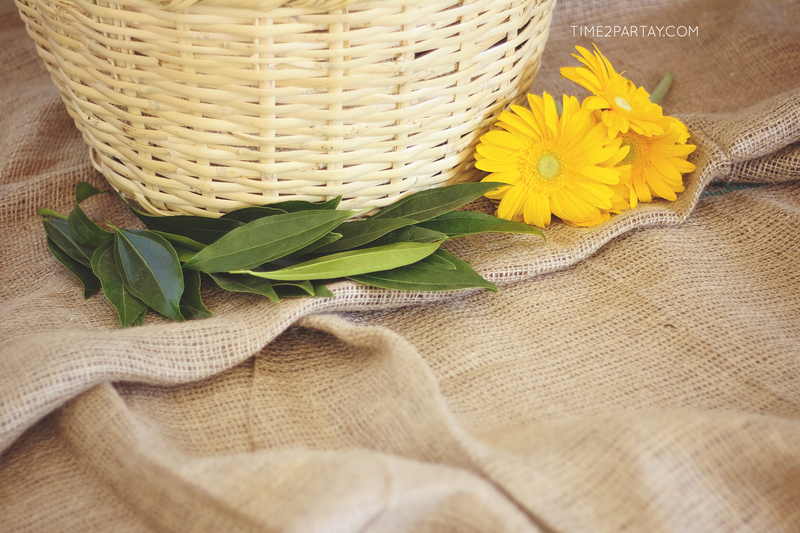 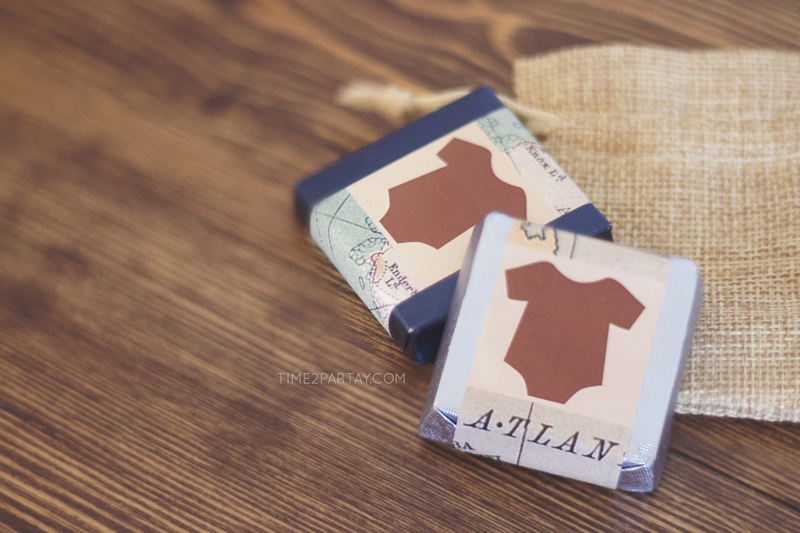 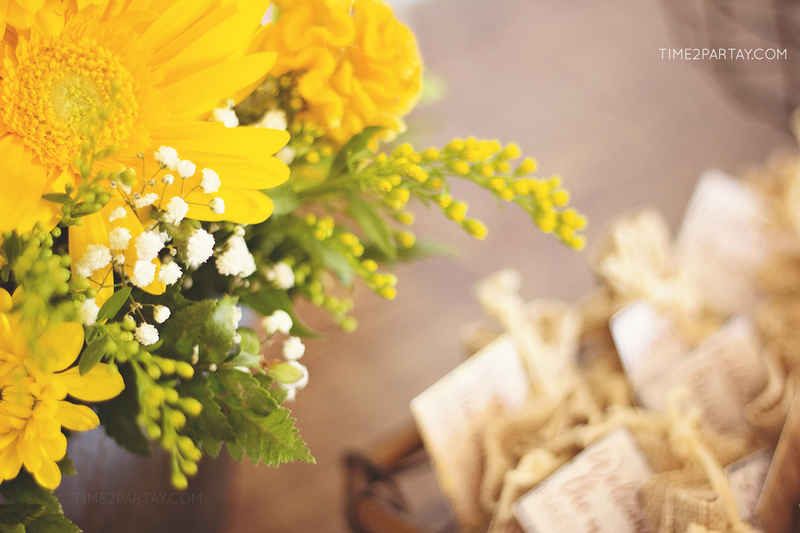 Guests got to take home a cute mini burlap bag filled with personalized chocolate bars. 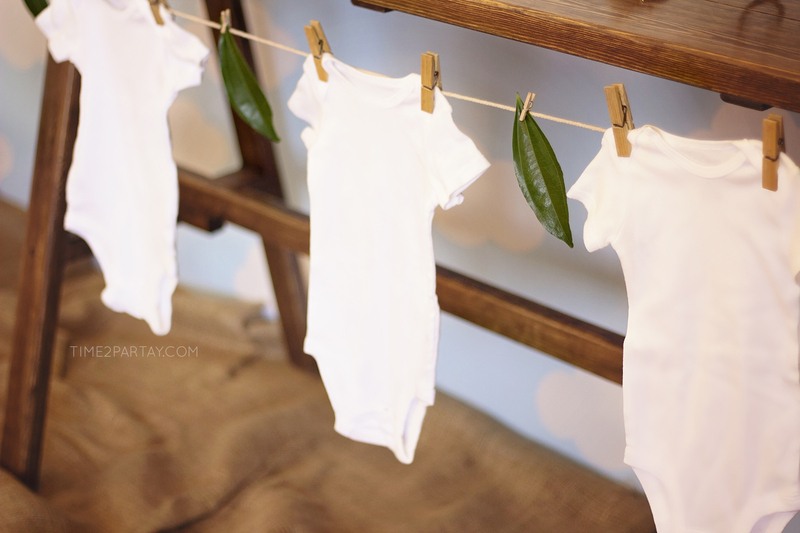 To settle a very important issue once and for all, we just had to know if the baby looked more like his mommy or daddy. 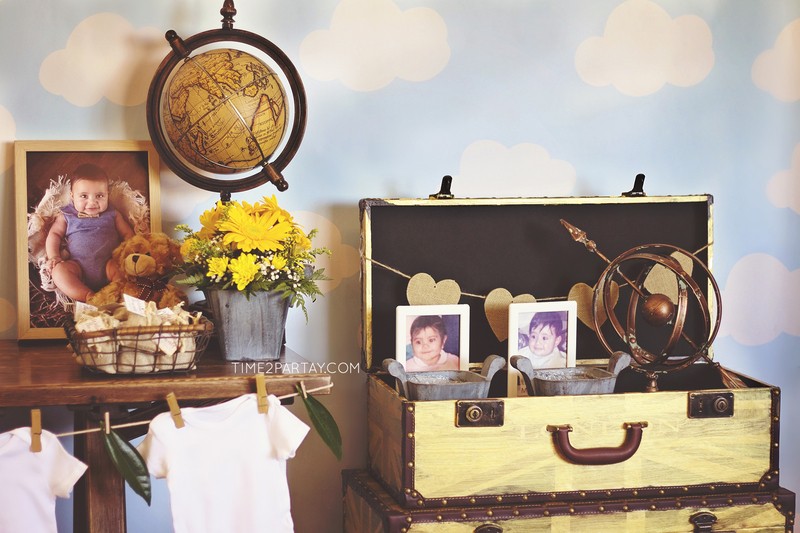 Each guest placed their vote in the box in front of the parent’s baby picture. 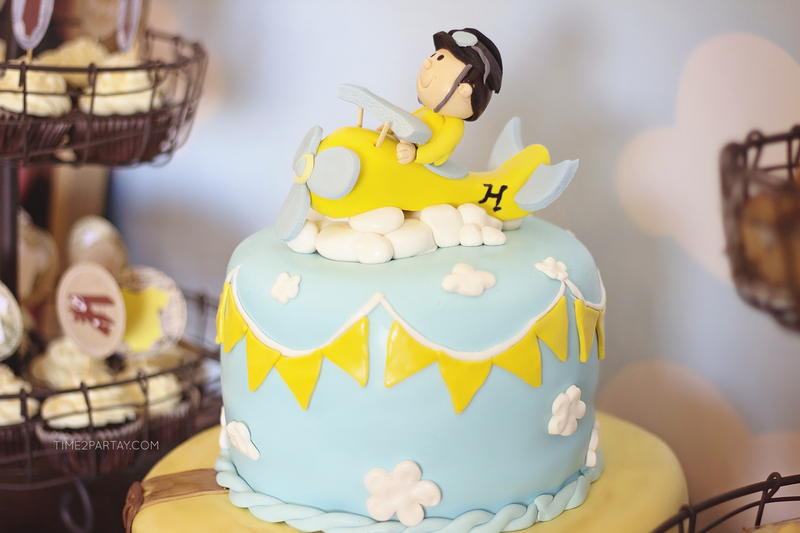 Welcome to the world baby Hafiz!